” Well, you see, Aborigines don’t own the land.They belong to it. It’s like their mother. See those rocks? Been standing there for 600 million years. Still be there when you and I are gone. So arguing over who owns them is like two fleas arguing over who owns the dog they live on.” Mike Dundee replied. This is a really fun movie with Paul Hogan and Linda Kozlowski. The film was directed by Peter Faiman and the Score is done by Peter Best. 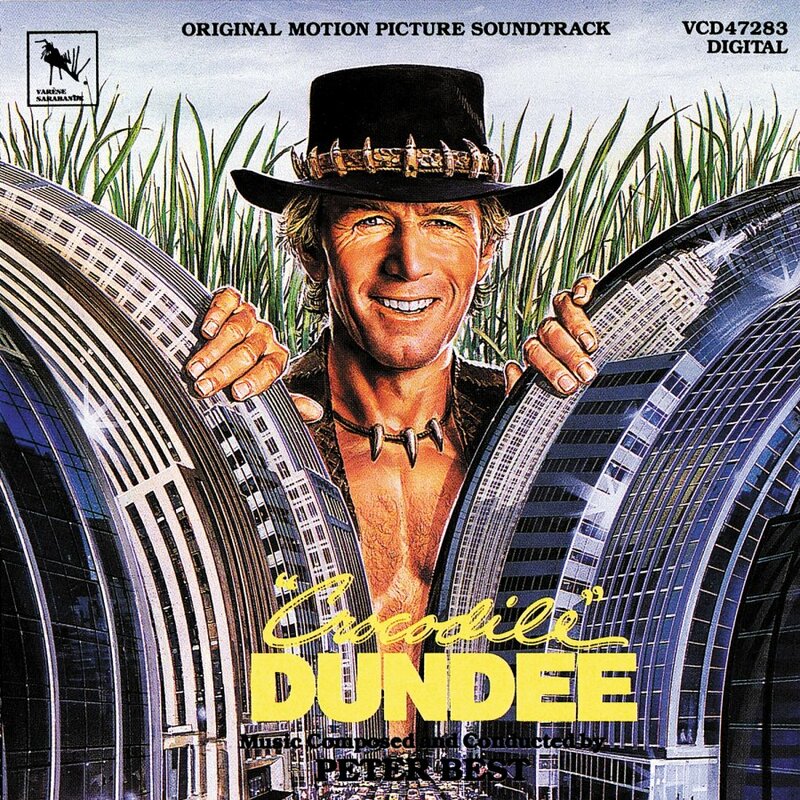 The basic plot of the movie is this…A New York reporter heads to Australia to interview the living legend Mike Dundee (Paul Hogan). When she finally locates him, she is so taken with him that she brings him back with her to New York. In New York, Mike Dundee is amazed by the wonders of the city and the interesting people there. Its a basic love story, a tarzan and jane story that gives you more humor than other ideas. Here are a few clips for your listening pleasure. Well that’s all for today. Hope you enjoy it! Check out my music throughout the week. Next Week Baby Boom! Happy Listening! Next Next post: Guys and Dolls!